Vismaad is dedicated to providing young Sikh parents a world class fun filled Gurmukhi & Sikhi learning resource for their kids. We endeavour to justify every cent of our generous supporters by raising the productivity bar continuously. The output by our small team of 15 animators and digital artist matches what any other animation studio would do with 3-4 times more people. The amount of Games, Applications, Videos and Worksheets we created is unprecedented and unmatched by any other Sikh media. A weekly newsletter is emailed to all patrons with updates of all new work published on SikhVille.org. 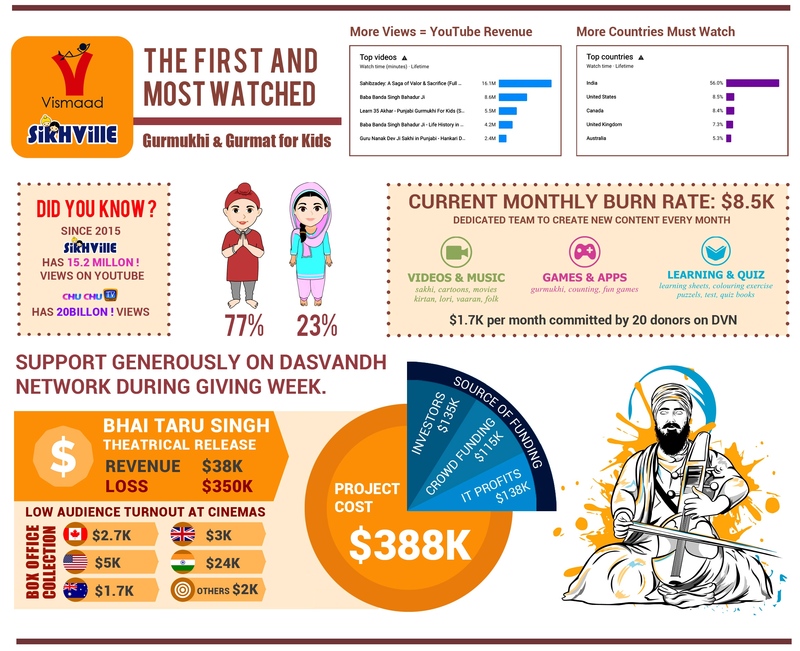 When started we had hoped to fund the SikhVille content creation with 4000 subscribers paying $50 a year only. The community wasn't yet ready for such a model hence we made SikhVille.org a free website. Even the hassle of login is removed. The deficit is funded from Vismaad IT Division revenue or direct fund raising in North America. 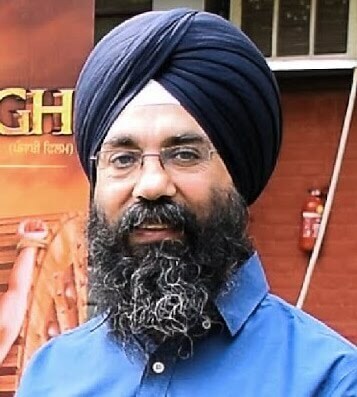 We request you to help maintain a respectable revenue stream to this very important work for worldwide Sikh community by signing an ACH on DVNetwork.org on our behalf. Please consider making a donation to help SikhVille reach its goal. A donation of any amount goes a long way to support the work being done. Thank you for empowering and fueling the work of the Sikh sangat!